You can subscribe to entire discussion threads in your courses and be notified when new comments are posted to the topic. If you reply to a discussion, you will automatically be subscribed to discussions and will be notified of updates unless you manually unsubscribed to that discussion. Please note that you cannot subscribe to individual threads within a threaded discussion. 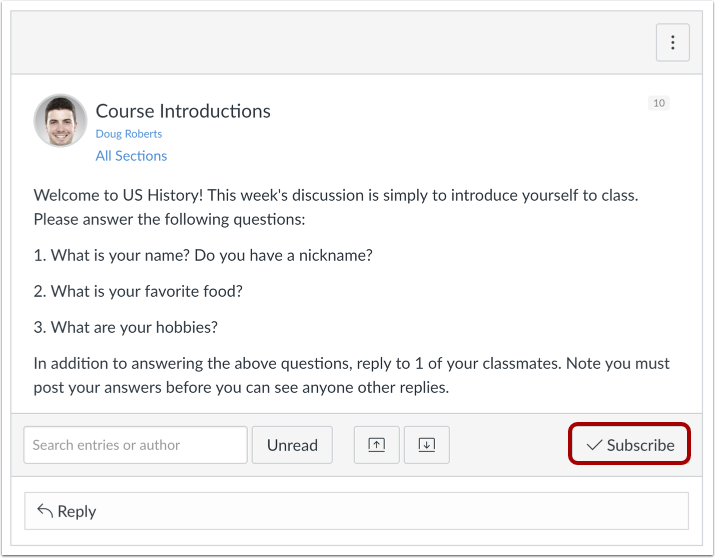 You will automatically be subscribed to discussions you create in your student groups. 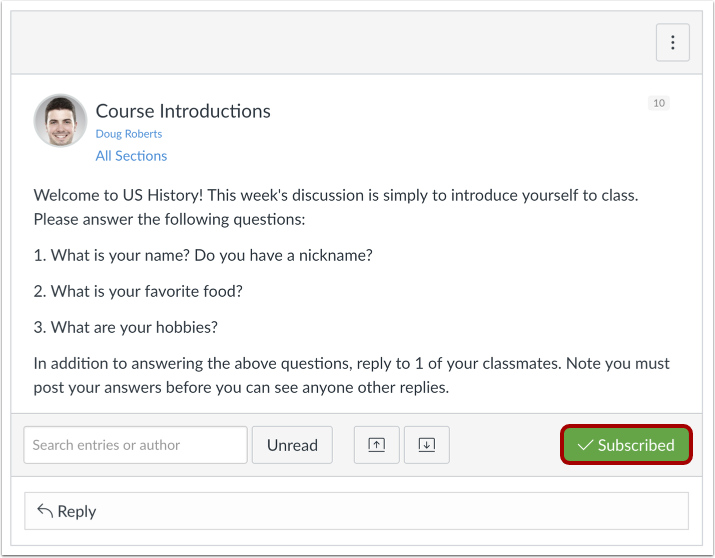 You will also be subscribed to any new discussions you create in your course, if your instructor has set course permissions that allow you to do so. Note: You must specify your notification preferences to receive updates for subscribed discussions. In Notification Preferences, you can change the method and frequency of subscribed discussion posts. 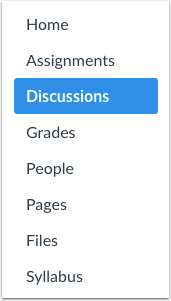 In Course Navigation, open the Discussions link. You can subscribe to an entire discussion from the Discussions page. Locate the discussion you want to subscribe to and click the Subscribe icon. The Subscribe icon will turn green when you are subscribed. To unsubscribe from a discussion, locate the discussion you want to unsubscribe from and click the Subscribe icon. The Subscribe icon will appear as an outline when you are unsubscribed. You can also subscribe within a discussion. Click the title of the discussion you want to subscribe to. The Subscribe button will become green when you are subscribed to the discussion topic. To unsubscribe from a discussion, open the discussion and click the green Subscribed button. The Subscribed button will become a gray Subscribe button when you are unsubscribed from a discussion topic. Previous Topic:Where can I find my peers' feedback for peer reviewed discussions? Next Topic:How do I view and sort discussion replies as a student? Table of Contents > Discussions > How do I subscribe to a discussion as a student? Can students subscribe to be notified of comments on an announcement? Re: Are there reply notifications in discussions?